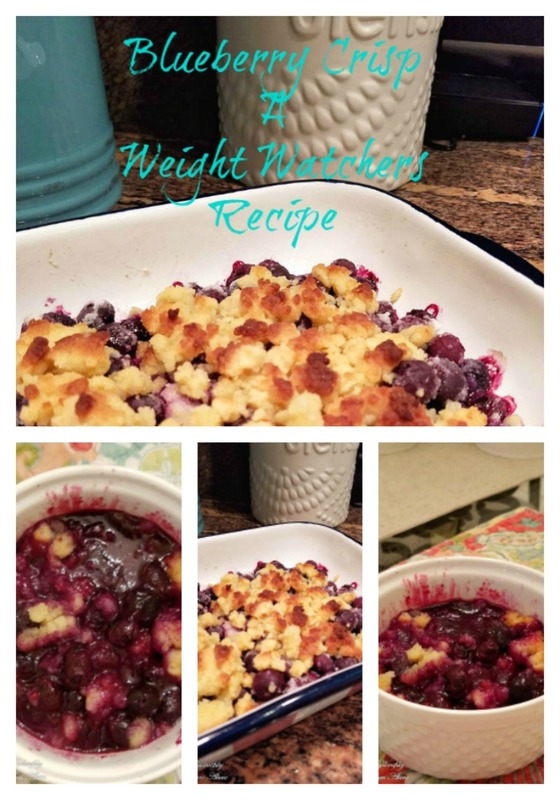 I am always experimenting with new Weight Watchers dessert recipes that are low in points and this Blueberry Crisp was delicious. It is very easy to make and it's gluten free, grain free, and sugar free which is always an added plus for me. It makes 4 very nice sized servings which are 6 points each. I am a dessert lover. I love sweets after dinner and for years I have deprived myself of some of my favorite foods in my quest to loose weight. That is not something that happens since I started Weight Watchers. I am still careful about using sugar and flour, because for me there is a direct correlation between sugar and flour and inflammation in my body, but I no longer shy away from eating them either. I found that I couldn't live my life like that any longer. I want to be able to have to have a luscious and sweet treat after dinner or at some point during the day. Just like I want to be able to eat a chip or a cracker. I don't want to go through life feeling deprived any longer. 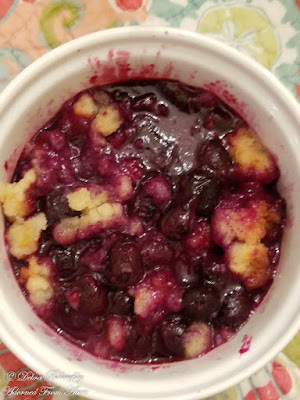 One of the results of that change in thought and behavior is this delightfully, effortless Blueberry Crisp. I hope that you like it as much as I do. Spray a small casserole dish or a 9 x 9 pan with . I use the Trader Joe's Coconut Oil non stick cooking spray. In a large bowl mix blueberries, Swerve, and xantham gum. Then pour into the casserole dish. Next, in another bowl, mix the almond flour, melted butter, lemon juice, lemon zest, and Swerve and crumble it over the blueberry mixture. Bake in the over for 20 to 25 minutes, until lightly browned. Watch it carefully, because the almond flour burns easily. Remove from oven and let it cool down. It is ready to serve once it cools a little. 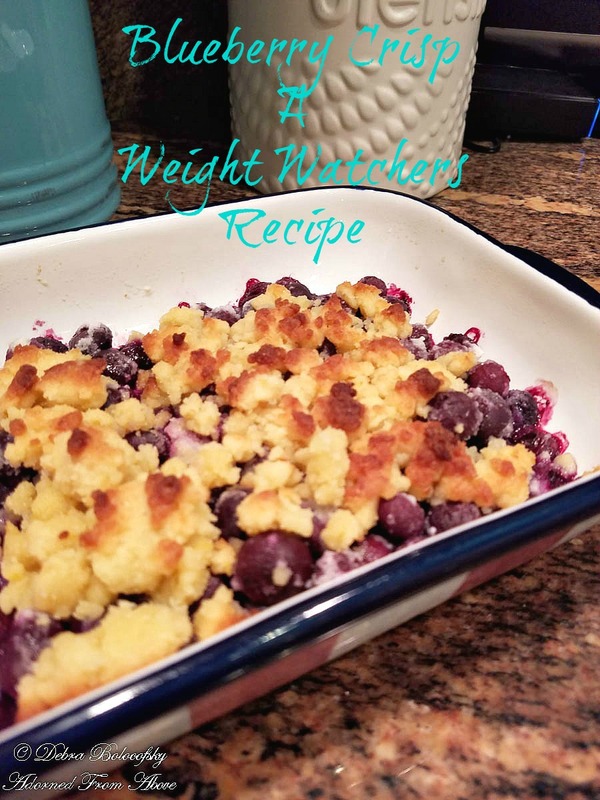 I hope that you enjoy this new Weight Watchers Recipe. It is really easy to make and delicious to eat. I always love hearing from you. so send me your comments.